Thursday was Bastille Day, and I originally wrote up a macaron review to celebrate, but after the tragedy that occurred in France I thought it was in poor taste to post it. I didn't want to be like, "Oh hey, look at my blog 'cause it's Bastille Day" considering how many people lost their lives, so I canceled the scheduled posting and it'll go live another day. My updating schedule was thrown off due to the sudden schedule change, but today it's back on track with some organic fruit bars! Aldi released these fruit and veggie bars last summer, and even though I bought them, they never made it to the blog. Thankfully they returned this year! The imagery on the package is rather stark, since the background is mostly white with a few scattered fruit and veggie pieces, but it suits the "SimplyNature" branding. It's simple alright! The lower portion of the box is really empty, but the busier top portion with all it's text and the slight color gradients help to balance things out creating a pretty decent packaging design that evokes a crisp and clean feeling. Inside the box are 4 frozen fruit bars, each wrapped in clear plastic. Now, these are an item I repurchased, so it's not the first time I've ever tried them, and that right there should tell you they're going to get a good review. These bars are delicious! 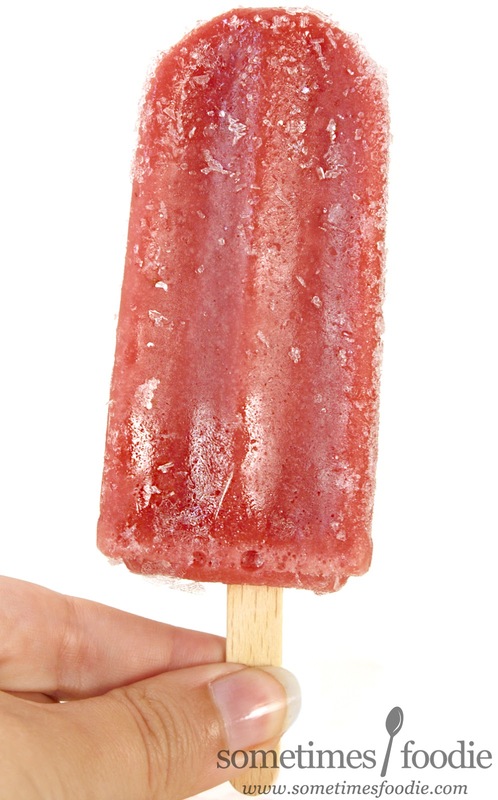 They have a tangier and more complex flavor than a straight-up strawberry fruit bar, which are usually really sweet and refreshing, but after a while I find that sweetness cloying. Thanks to the rhubarb mix-in that's not an issue here! It's more tangy, without being sour or tart, and the flavoring just seems brighter, while maintaining a jammy strawberry sweetness. 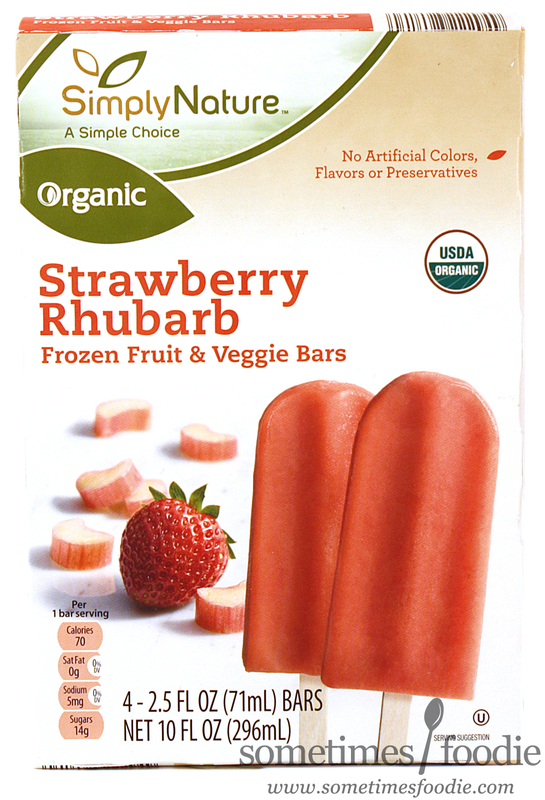 These are perfect for summer snacking, and it's only 70 calories per bar! Not too shabby. I'd forgotten that these were strawberry-rhubarb (I'd taken them out of the box and scattered them across my full freezer) and it was a little disconcerting to run across a sizable chunk of rhubarb in the smoother strawberry. It was not as sweet as I thought it would be, but not sour, either. Refreshing on a hot day!